Thank you for registering to the 2nd Mare Forum Mykonos 2018 conference taking place on Friday 31August 2018 at the Saint John Hotel in Mykonos. We kindly invite you to also join the Mare Forum Mykonos Community 2018 and to download the app as it will offer you possibilities to get the most out of your registration. Joining the Community can help you to discover great people to connect with, and by marking them as a lead it will help you build your “target list” for the event. You can also view which of your LinkedIn contacts have also registered or invite your colleagues to attend. You will also be able to create your personal schedule and to set reminders. But the great part is that you can send a message to an attendee who you would like to network with! We look forward to connecting with you in the Community! Michael Bodouroglou, the founder of Allseas Marine S.A.,  a Technical and Commercial Management Company, has been involved in the shipping industry in various capacities for more than 35 years. He has owned and operated drybulk and tanker vessels since 1993. Prior to 1993, he was employed as a technical superintendent, supervising both drybulk and tanker vessels for various shipping companies. Michael Bodouroglou is the founder of Paragon Shipping. 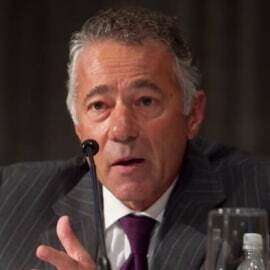 He has been the Chairman and Chief Executive Officer of  Paragon Shipping since the Company was founded in April 2006. He is also the founder of  Βox Ships and has served  as  the Chairman and Chief Executive Officer of  Box Ship since the company’s inception  in May 2010. In 1977 Mr. Bodouroglou graduated with honours from the University of Newcastle-upon-Tyne, in the United Kingdom with a Bachelor of Science in Marine Engineering and in 1978 he was awarded a Masters of Science in Naval Architecture. Mr. Bodouroglou is a member of the Cayman Islands Shipowners' Advisory Council,   the DNV GL Greek Committee and the Lloyd's Register Hellenic Advisory Committee. He is also a member of China Classification Society Mediterranean Committee (CCS), the RINA Hellenic Advisory Committee (Registro Italiano Navale) and the Greek Committee of Nippon Kaiji Kyokai (ClassNK) and also member of the Board of the Swedish P&I Club and the Union of Greek Shipowners. In November 2014 he was also elected as an Honorary Fellow of the Institute of Chartered Shipbrokers. Mr. Bodouroglou is the Honorary Consul for the Slovak Republic in Piraeus and the President of the Hellenic Australian Business Council (HABC).